I tend to follow as much as I can technology updates (people in my age group will understand how challenging it can be sometimes). This week, my son (Generation Y) updated my Xperia Mobile phone AND I offered myself a beautiful light new Toshiba laptop HD screen (on which he installed everything that I need). It’s so good to be able to get help from young ones, they are so efficient. I now FEEL DIFFERENT, my thinking process is better, faster and clearer. Winning ! 🙂 Thank you my son! Thank you technology! Changes help us shift old routines. Movement is life. Welcome transformation! 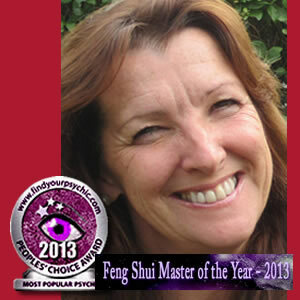 Feng Shui starts with common sense – environment has an important impact on us! Let’s have a look around how you live. 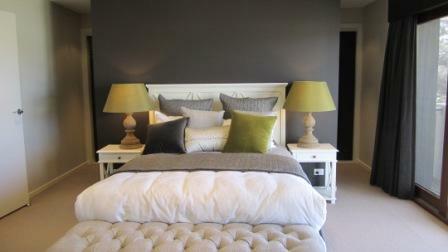 Our bedroom is our Sanctuary, it is where we rest, sleep and recover. 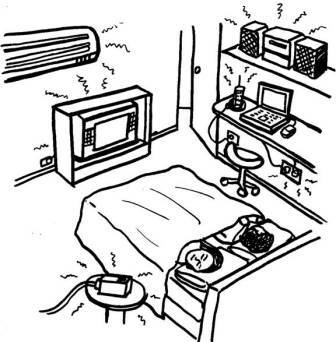 – Avoid too many electrical appliances as illustrated in Fig 1 as they are zapping EMFs (Electro Magnetic Fields) you while in bed. – Move liquid crystal alarm clock (red or grey numbers on a screen) and your mobile phone to your en-suite or as far as possible from your sleeping area at least 3 metres! – A computer is best in a study or rumpus room . You only have one room and need to live with your electronic devices in the bedroom? Please shut them down totally before going to bed and unplug the cords from the wall. 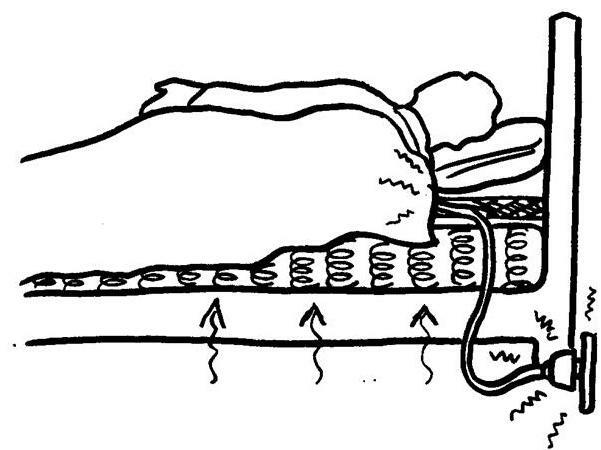 Fig 1 – DANGER – How can you rest in an EMF environment? Please UNPLUG electric devices! Fig 2 – DANGER – Often we forget to check what is behind our head! Please move your bed away from dangers on the other side of the wall for ex. Electric meter box, Fridge, Television, Hot Water system etc. Constant exposure to EMF often leads to health issues to name only a few: headaches, brain tumours, lack of sleep, glandular fever, lack of focus and concentration, poor study. 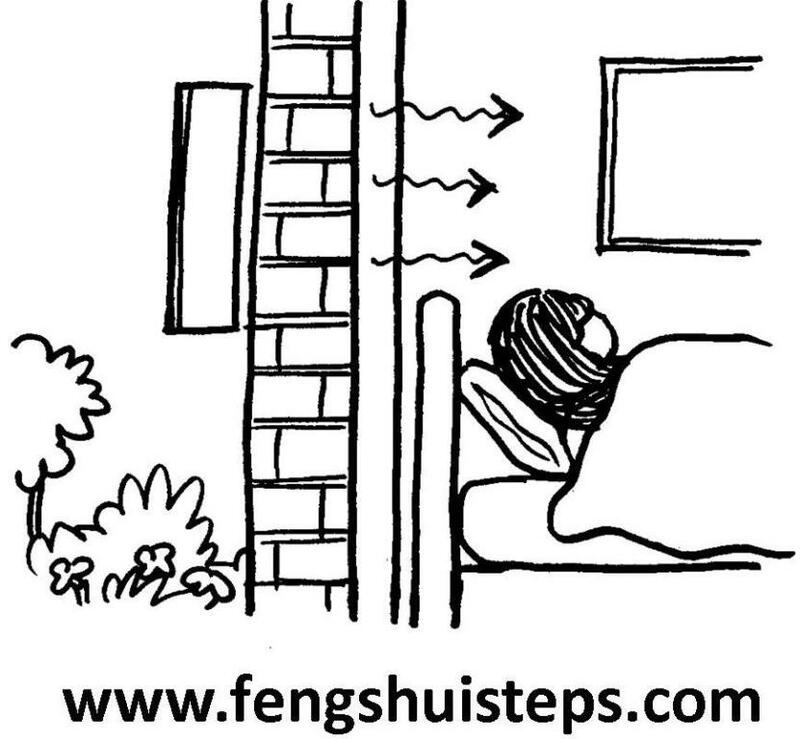 The Feng Shui term “Coffin Position” is referred to the bed being straight in line with the bedroom door – exactly when the feet are going through the door… which in general, is how the coffin gets out. Dark idea isn’t it! If your feet are NOT going through the door because the door is about 60 cm on the left or on the right, then your position is fine. On the other hand, if there is no other way to place your bed, what do you do? Be creative, there is always a solution! Please Mark, tell our readers briefly WHEN, HOW, WHERE or in WHICH circumstances we met? Gosh it’s so long ago. 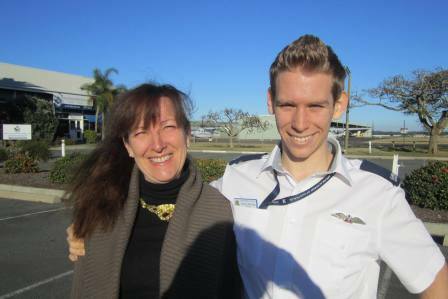 I know we met about 9 years ago when I was researching for one of the pilot programs I was developing. One of the segments was on Feng Shui which of course let me to you and we’ve been working together ever since. In the first segment for ‘Beyond Belief’ I know that what I saw was an amazing transformation when we filmed a segment on changing the entrance to your client’s house. 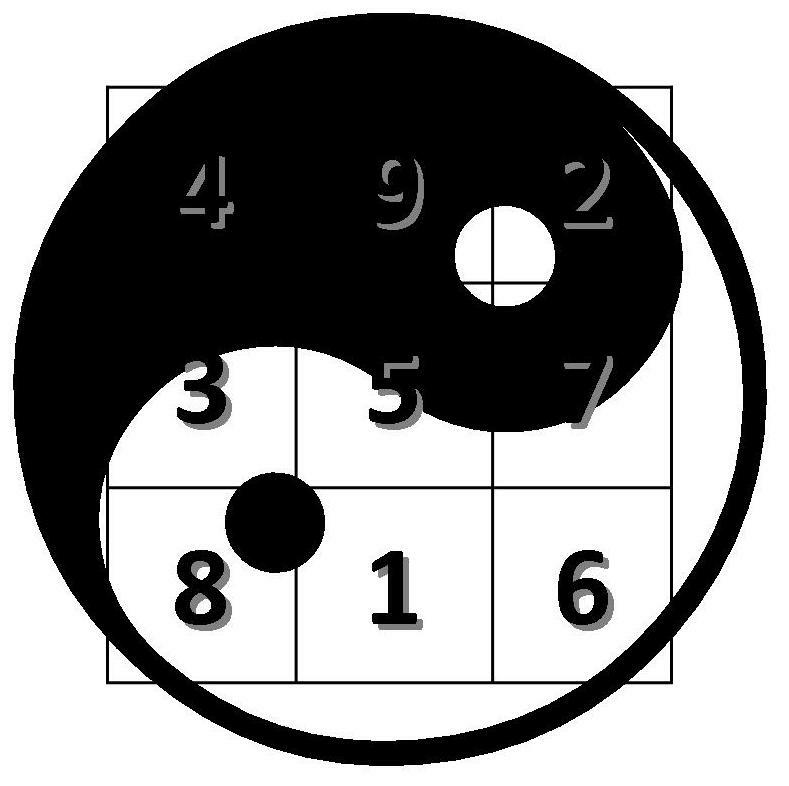 While the Feng Shui will continue to be a segment on that program for which only a pilot has been shot, I also have plans to develop a complete Feng Shui show. Tough question. I think I could answer that by the feeling I’ve witnessed when the transformation is complete which I’ve seen a few times while working with you. It just ‘feels’ better and you think it’s so simple. While of course as there is no control in place you will never know exactly how the changes have worked, you just know they have. Our home is a little complex as it is slowly evolving to the stage that one day we know we will have to move out to make way for Marymark Media. After talking with you about the area between the house and the studio we followed through with much of what you suggested and it’s now an area that we spend a lot of time in. It’s now the entertainment area and is a good link between the house and studio, though the line is becoming increasingly blurred. 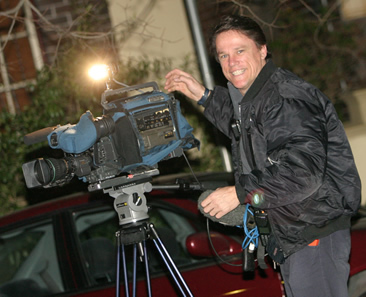 I’ve started out as a radio announcer doing local news chasing the dream of doing fulltime news which eventually happened at 4BK in Brisbane. 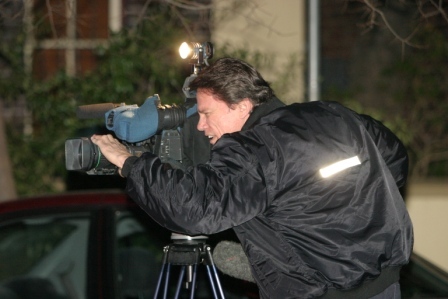 Eventually I moved to television as a reporter and once established in a more senior position I began shooting as well. This led to a fulltime position as an overnight crime cameraman in Sydney and gave me the chance to really hone my camera skills. 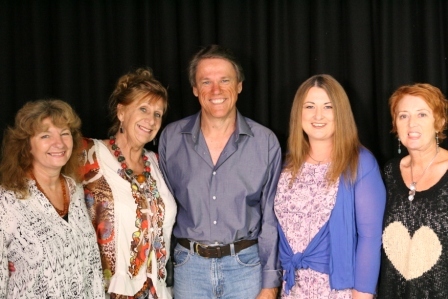 My wife Mary and I started Marymark Media in 2006 as news coverage in the Gympie/Cooloola region was not great. 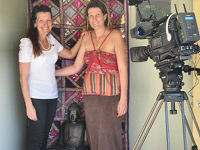 I began shooting for the Sunshine Coast stations and now only cover for the Brisbane networks. 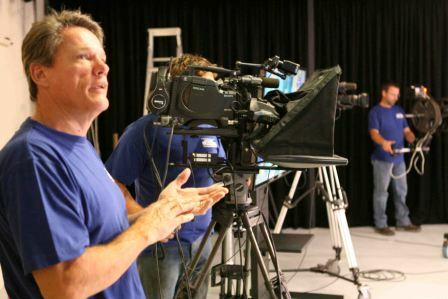 After we built our studio, news is now on the back burner as we continue to develop and shoot programs. Our first program, ‘Psychic Solutions’ is now screening weekly on 31 Digital in Brisbane and starts next month on TVS in Sydney. It is also coming later in the year to C31 in Melbourne and Geelong. The next show we plan to shoot a pilot for is an alternate health program, and then we also plan to develop a sports show. There is a long list of ideas we have and will continue to work through them while putting out weekly programs. 4. What are the three words that people would use to describe Marymark Media? 1. Alternate – Well we would have to start with alternate due to the nature of most of the programs that we are developing. 2. Persistent – I began working on my first alternate lifestyle program around 20 years ago and have and while the success rate has not been great when dealing with main stream media, we continue to plug away to get interesting television on air that’s not currently being developed. It’s great to finally have programs on air in Brisbane and coming to Sydney next month. 3. Innovative – We are constantly working on ideas that current television buyers say won’t work. Many of the genre of shows that we are developing are currently not on television. However the television landscape is changing both through the multi-channel platforms that are available and the internet. We are no longer restricted to the 3 commercial stations and the ABC. What was the purpose on starting your MarymarkMedia business and how has the concept come about? After working as a reporter on the Sunshine Coast many years ago, I always knew Gympie was a ‘black spot’ for news coverage. Marymark Media came about when we bought a small stud cattle farm west of Gympie in Glastonbury and I thought I would start covering news for the local stations as a video journalist and now only cover stories for Brisbane networks. Most of the time we are not dealing with clients on a one to one basis, though we do shoot the occasional corporate video in the studio. We also have a booth for voice overs and recording CD’s. Most of what we do is in program development and production. What advice can you offer to people who are just discovering MarymarkMedia? The best thing is to watch our programs and also to participate. Being an independent producer can be a tough road to travel. For our NEW program ‘Psychic Solutions’ we have found it difficult to generate enough people to Skype in for our recording sessions. Though we have faith that the program will develop a following in time and it’s just early days. Do you have a book/CD that you would like to recommend? I wrote a spiritual adventure novel about 8 years ago and could not get any interest in it. ‘Age of the Alexian’ will finally see the light of day sometime in July. So that’s what I would have to recommend. While it’s blatant self-promotion, it’s very exciting to finally see it on the shelves. I had some amazing feedback from people that have read the manuscript. Let’s hope that translates into success on the ground. Our studio is tucked away in the tranquil foot hills at Glastonbury west of Gympie in Queensland.